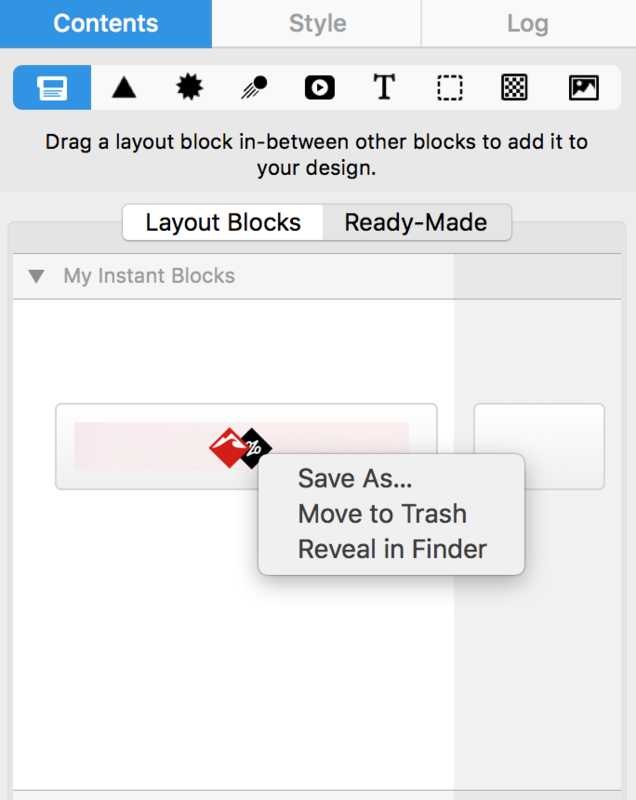 If you have saved a custom-made layout block and you no longer need it, you can choose to delete the layout block from your content library. Make sure that you are on the “Contents” tab and that you have the layout block icon selected. Under the “My Instant Blocks” section, find the custom-made layout block that you want to delete. Right-click the layout block that you want to delete. A drop-down menu will appear. 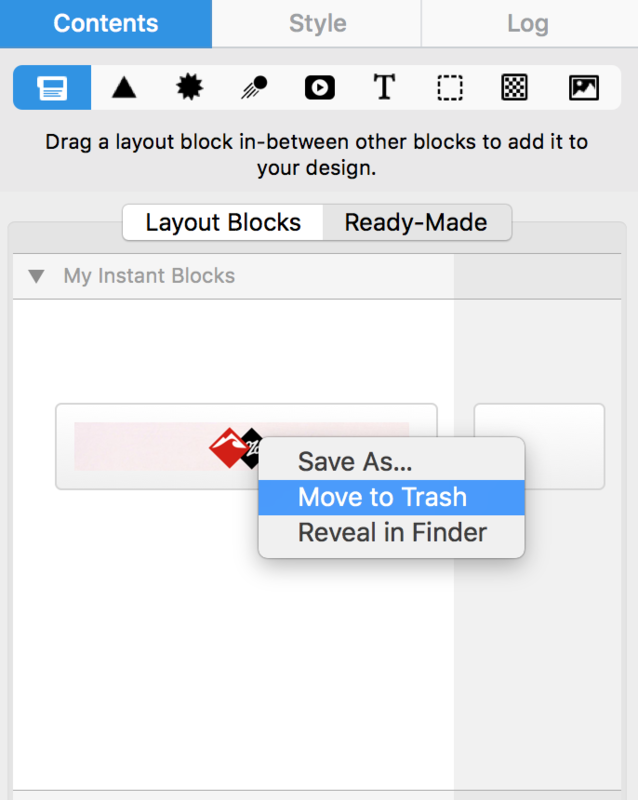 Choose “Move to Trash.” This will delete your saved layout block.